We've all needed a spacious bag for a weekend away, but how many times have you reached for a utilitarian suitcase? 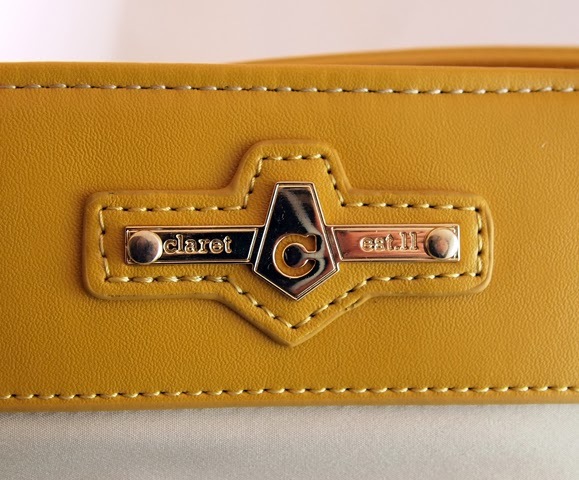 Claret offers a stylish alternative for weekend getaways or the office: the Marie Jeanne, a khaki tote with golden vegan leather trim and high-end hardware. This is no ordinary tote. 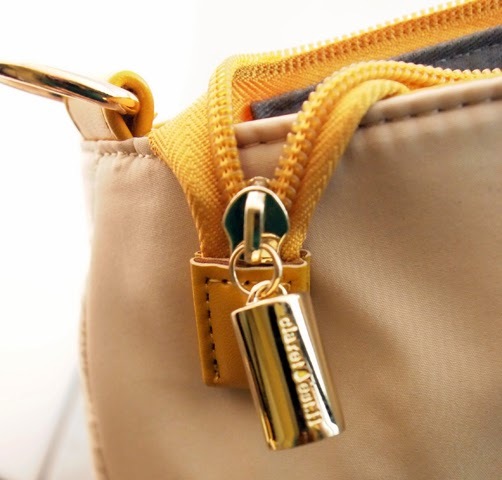 It is designed with care, from the fashionably contrasting gray lining on the interior to the cork-inspired zipper pulls. 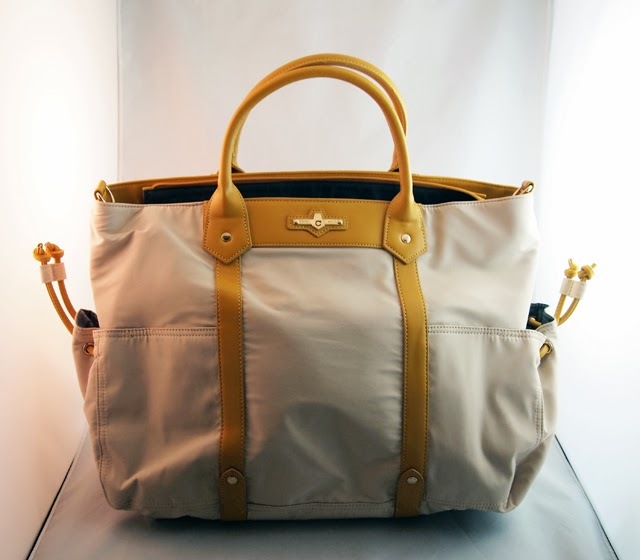 It comes with details you'd expect from high-end designer bags, such as sturdy hardware, a quality zipper on the top, and even a dust bag. While the straps are just a tad short to be worn on the shoulder, there is a removable vegan leather shoulder strap included. It can also be worn on your arm as a fashionable accessory, if you pack it lighter. This tote is a nice size and made with versatile details such as the padded laptop pocket that make it easy to take it from the office to a weekend getaway. The top zipper is an especially nice detail, especially if heading to a rainy location. The vegan leather is extremely high quality and could easily be mistaken for genuine leather. I was really impressed with this bag, and I hope they continue to make more quality items like this in the future. I'd love to see these bags in retail stores, so more people can see them and appreciate the craftsmanship. If I were to suggest an improvement, I'd love to see eco-friendly materials such as organic cotton included in the design. This is a fantastic tote with gorgeous details that any fashion-conscious woman would be proud to own. Click here to see my reviews of other Claret bags.